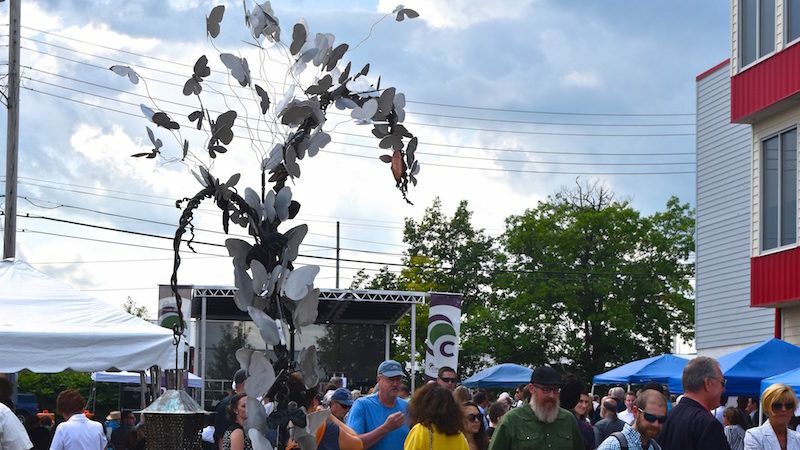 If you made it out to the Old Town Commercial Association ScrapFest this year (and you should have!) then you’ve already seen The Butterfly Effect. A beautiful nine foot metal arbor created by the team Artistic Iron, it boasts over 80 metal butterflies among it’s winding metal vines, roots and branches. It won both the First Place award, and the People’s Choice Award, and was quickly snapped up by Cinnaire during ScrapFest’s live auction. It now lives in the Hope Garden in REO Town, where Cinnaire hopes it will inspire residents in the area.